Wrapped in raw crab whole piece a special salt I was baked. By wrapping the raw figure crab with a special tail salt, there a gem baked carefully carefully over a period of about one hour in oven. 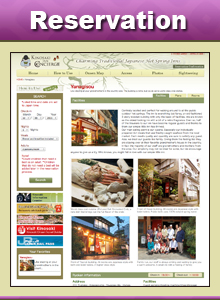 Japan Hiroshi, Ie the Domo Une world Hiroshi and, you will not be able to taste only the hotel only. This will be declared!! 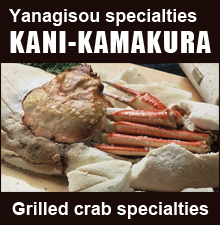 Also, speaking of baked crab in the hotel, this has received good response from customers about say "Kanikamakura", we have more than 90% of the customers of the repeater of crab season is our guest mercenary this. Even a good idea to say that outside hot water Tour birthplace. Far from the old days Kinosaki of people drawing room of the inn, I was entertained by the whole town the people who visited in the hallway the way hot spring cure. This spirit is alive unchanged even now. Once attached to the inn Chakugae in yukata, please feel free to go out and ring the Geta. Copyright(C) Syusenkaku All Rights Reserved.